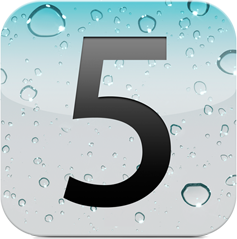 In a surprising weekend move, Apple has released iOS 5 Beta 5 (build 9A5288d) to registered developers. Apple typically releases such builds on Tuesdays and Thursdays. Apple recommends backing up your iPhone, iPad, or iPod Touch with iTunes 10.5 Beta 4 or iCloud prior to installing iOS 5 beta 5 over-the-air. Users are instructed to then delete everything on their device by navigating to Settings > General > Reset > Erase All Content. After clearing their device, users can start the over-the-air update by going to Settings > General > Software Update. While iOS 5 Beta 5 didn’t exactly add anything notable, BoyGeniusReport was determined to compile a complete changelog. Alongside the new firmware comes Xcode 4.2 Developer Preview 5 and iTunes 10.5 beta 5. Each component can be downloaded from the Apple Dev Center.